It is well established under Ohio law that snow and ice are a natural part of winter, as is the freezing and refreezing of snow and ice. Thus, snow and ice, and the buildup of snow and ice, are presumed to be natural accumulations. Although a premises owner has a duty to provide business invitees with a reasonably safe ingress and egress, there is no duty to protect from or remove natural accumulations of water, snow or ice. We live in a climate where the weather can frequently bring storms that include sudden changes in temperature, which can make dangerous conditions appear with such suddenness that prevention is impossible or impracticable. 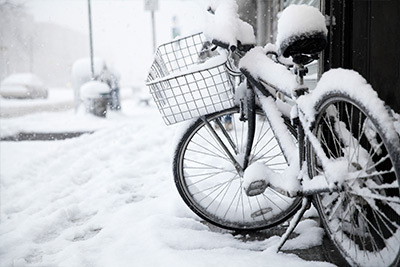 Therefore, in order for liability to attach to a premises owner, a plaintiff must prove that the snow or ice on which she fell was an unnatural or a man-made accumulation. For snow and ice to be “unnatural,” there must be some evidence of an intervening act by the premises owner that perpetuates or aggravates the pre-existing, hazardous presence of snow and ice. If you believe you were injured due to an unnatural accumulation of water, snow or ice, contact Joseph T. Burke for a consultation. As an experienced personal injury attorney, Joseph T. Burke can help assess any potential liability and further advise you of the legal options based upon the particular facts and circumstances of your situation.